• PLOT SUMMARY: Collects Squadron Supreme: Death of a Universe GN (1989) , Thor (1962-1996 1st Series) #280, Avengers (1997-2004 3rd Series) #5-6, Avengers/Squadron Supreme Annual, and Squadron Supreme: New World Order (1998). What happens when a world's greatest heroes are left without a world? 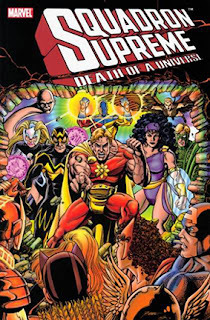 The late, great Mark Gruenwald's final Squadron Supreme saga sees the super heroes save their universe, only to be ejected from it in response! 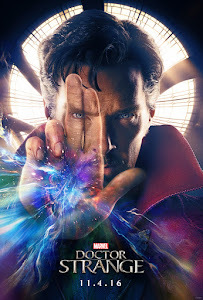 In the more mainstream Marvel Universe, mind control and manipulation put them both against and alongside the Avengers, but the greatest shock comes when they return to their home universe and see just how it's been saved without them! Featuring material from the critically acclaimed Kurt Busiek/George Pérez run of AVENGERS! Softcover, 248 pages, full color. Written by MARK GRUENWALD, KURT BUSIEK, and LEN KAMINSKI. 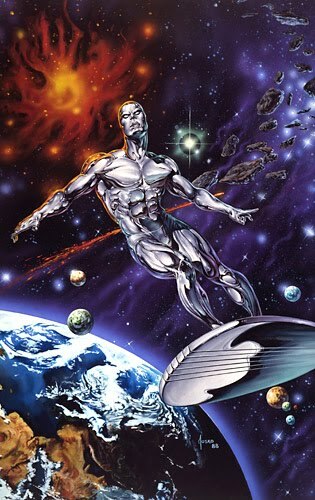 Art by PAUL RYAN, GEORGE PÉREZ, CARLOS PACHECO, and ANTHONY WILLIAMS. Cover by GEORGE PÉREZ.